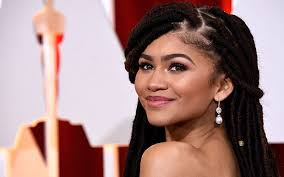 Last year, one journalist made fun of actress Zendaya’s hair because she wore dreadlocks to the red carpet; this reminded me of when Viola Davis had sported a short ‘afro’ to the Oscars … as if it was wrong for a Black woman to wear her hair in natural hairstyles. Why should an African woman be made to conform to something she is not? What is wrong with wearing our hair the way God made it? Without the relaxers, and perms made to straighten or rather beat the African-ness out? Every style should be celebrated. Our cultures are so unique… and the way we dress our hair is so unique, and should be loved and appreciated for what it is, a definition of who we are. It is high time, African women accept, appreciate, and embrace their heritage. It is impossible to beat the Afro out of oneself… just embrace it, and wear it as a peacock wears its feathers … with great pride! The poem below “African Hair” by Esmeralda Yitamben just says it all, and as I read it, I am proud to be African, born with this amazing hair. 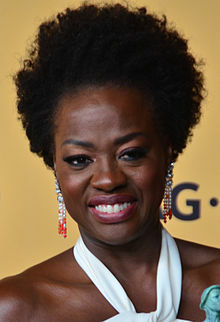 The author writes about the versatility of the African (Afro) hair, its beauty, its abundance, its richness, its kinkiness, and yes, its unruliness as well. True, I do not agree with the author’s mention of relaxers, but hey… every style should be valued. The original poem can be found on Kalaharireview.com. Enjoy! (The BBC also did a piece on Afro hair). Sometimes sprinkled with hints of mahogany. Woolen and soft like a sheep’s fur. like a gem, under the moon’s smile. Hair that can be braided, cornrowed, relaxed, and yes, even locked. Precious Mother, Thou have blessed the Black race with a lion‘s mane. What can I not do with this hair of mine? I really don’t mind whether people wear their hair relaxed, in weaves, but there is a huge negative image out around natural hair in general and I honestly hope people can start to accept their natural hair be proud of it and embrace it in its fullness. Moms should teach their little girls to love it first and teach them how to care for it. It will take some time but hopefully we’ll get there. Thank you Anna. I, too, really liked this poem. U’re welcome. It is really inspiring.